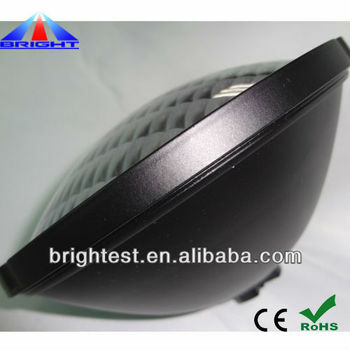 Chip on Board integreted for 21W, 25W, 30W,35W for customers' options. 6063 die-casting aluminium cup which ensure lamp cup/body unbreakable & good heat difussion, and make sure of less lumens decline. Color: RGB, 15 kinds of color changing method. Applications: Swimming pool, park, water-fall, fountain spring, gardon.